Listing Properties: Are you a ‘Shower’ or a ‘Teller’? We agent types like to talk. In fact, many of us became agents because people told us that, since we’re good talkers, we’d make great salespeople! That’s an old idea today. Why? Because we, as consumers, are over-whelmed with sales talk. We don’t just trust anyone because they have a good ‘sales spiel’. Listing properties. If you’re finding it increasingly difficult to list properties at the right price, it may be because you’re working too hard trying to talk the seller into it, and are not working hard enough to show a seller into it. Sellers, like all of us, believe what they see, not what they hear. Go visual. Instead of trying to tell a seller what you know to be true, back up your statements with statistics, graphs, facts, etc. You do this in your market analysis. But, most agents don’t do this with the rest of their marketing plans. Start now gathering information to back up your chosen marketing strategies. For example, if you’ve found, through your experience, that open houses do not sell that particular home, start keeping statistics of your open house visitors, their needs, and what happened to them during their buying cycle. You want to provide sellers the information they need to make good decisions, and to support your marketing plan. Ideas galore. 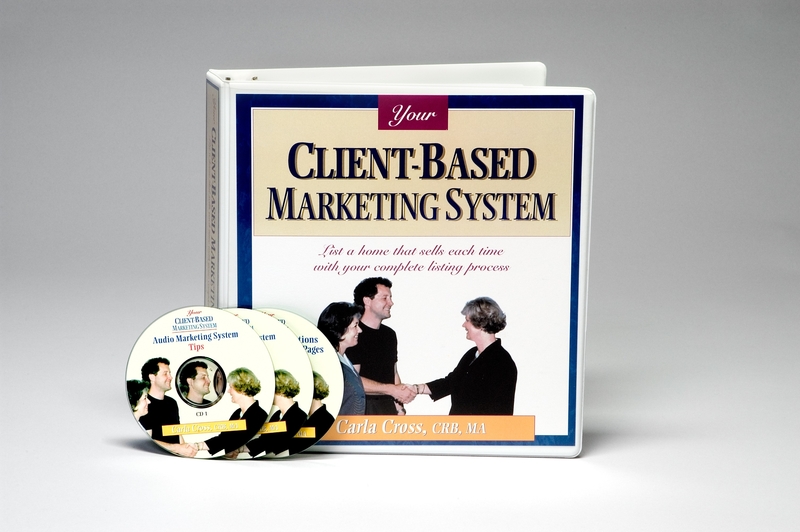 If you’re wondering exactly how to create those visuals, check out Your Client-Based Marketing System. Dozens of ideas on how to create proof that you know what you’re talking about! I’m pleased, too, that CRS (Certfied Residential Council) has just featured this resource this month. 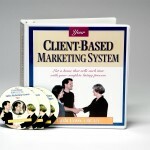 This resource has been test marketed and approved by the CRS Council, too.